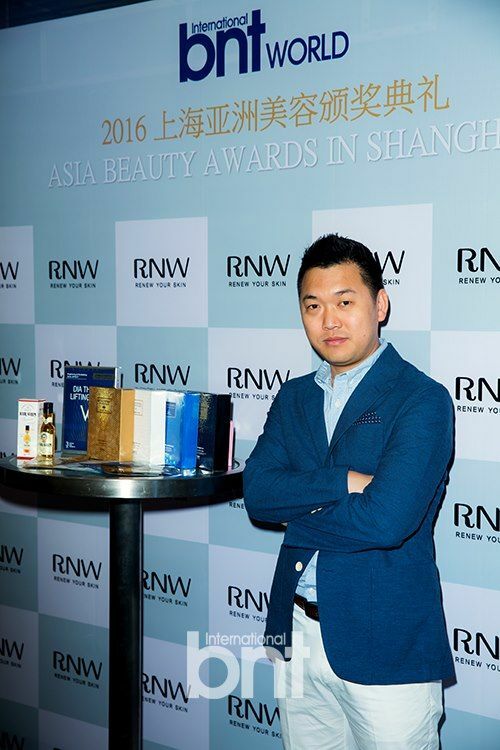 [by Jung Yoo Jin /translated by Kim Young Shin] On May 19, Cosmetics Brand RNW was awarded at ‘2016 Asia Beauty Awards in Shanghai’ for making the best sheet masks at Renaissance Shanghai Chaohejing Hotel in Shanghai, China. The event was hosted by Phoenix New Media and bntworld and arranged by Asian Center Commission, Miss First International and Shanghai IDEA. The awarding ceremony recognizes global beauty brands that are already well-known and the brands and their products that are relatively less famous. It also selects the products that lead Asian beauty trend. It also provides evaluation standard for beauty brands to help wiser consumption. RNW is constantly researching and developing to ameliorate the effects of its products. It aims to achieve healthy beauty. Its products provide solutions to various skin concerns. Its name RNW came from the phrase ‘renewing tired skin’. Its sheet masks are popular in Korea and China thanks to the rich nourishment. Meanwhile, ‘2016 Asia Beauty Awards in Shanghai’ was reported by many newspapers including four major Chinese media in 12 languages.